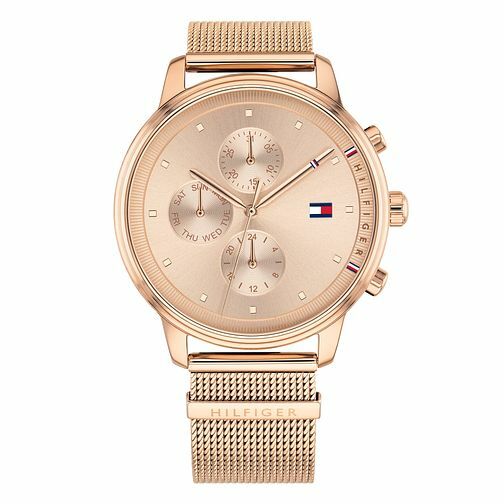 This sophisticated ladies' sports watch by Tommy Hilfiger features a rose gold IP bracelet and a 38mm case with a silver and white multi-eye dial. The dial is complete with day and date indicators, and the signature Tommy flag logo at the 3 o'clock marker. It is water resistant to 3 ATM and comes with a 2 year international warranty. 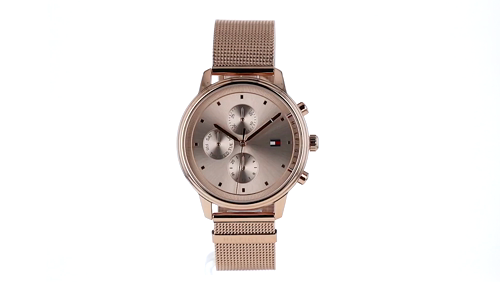 Tommy Hilfiger Ladies' Rose Gold Plated Mesh Bracelet Watch is rated 5.0 out of 5 by 1.